Apex has a history of being part of the community and assisting for the betterment of both the individual and the community itself. In March 1931, a period of great depression, Apex came into being. Three architects in Geelong, Victoria met with a group of their acquaintances. They believed that young men organised and supporting one another could lift the morale and play a part in overcoming the material difficulties which were facing people at that time. That belief was soundly based. The founders were Ewan Laird, Langham Proud and John Buchan. Two were twenty-two years of age, the other twenty-one. These three men had great foresight and dared to dream that they could play an active part in making Australia a better place by basing their endeavours on three basic principles – citizenship, fellowship and service. They each had distinguished careers in their architectural profession and have also been community leaders. All were honoured – John Buchan with a knighthood and a C.M.G., Langham Proud and Ewan Laird with O.B.E.’s. 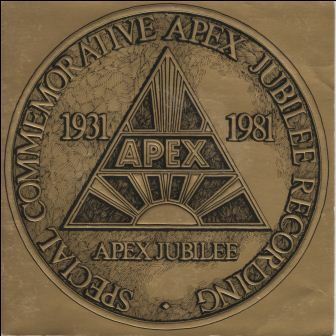 In 1981, Apex was celebrating its jubilee year – 50 years of service. The National Convention was being held in Geelong on a cruise liner docked at the local Cunningham Pier and Prince Charles was attending as a royal representative. To help celebrate this marvellous milestone, the Apex Clubs of Zone 1 commissioned the production of two Apex related songs. "Langham, Ewan and John" and "The Apex Game" were sung by New Zealand born (but Australian based) pop duo Bill and Boyd with nett proceeds from record sales being used by the Zone One Youth Trust to sponsor youth related activities throughout Australia. This was quite a coup as Bill and Boyd were a pretty big deal in those days. Best known for their 1975 hit "Santa never made it in to Darwin" which documented the events of Cyclone Tracy that devastated the city of Darwin on Christmas Eve 1974, Bill and Boyd had had a great deal of commercial success both in Australia and abroad. "Santa never made it in to Darwin" made it to number 1 on the Australian national charts. 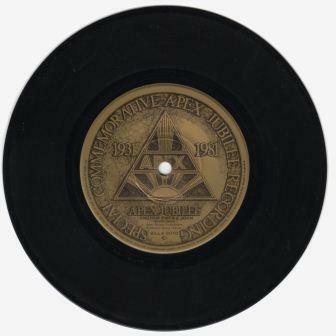 The songs were produced by Doug Trevor and recorded at the A.A.V. Australia studios, Bank Street South Melbourne. The cover and disc graphics were produced by Pace Advertising, Geelong. By 2010 standards, the song lyrics are probably to be considered a bit cheesy. However they tell an important story and the songs are a significant part of the Apex journey. You can listen to the two songs below. 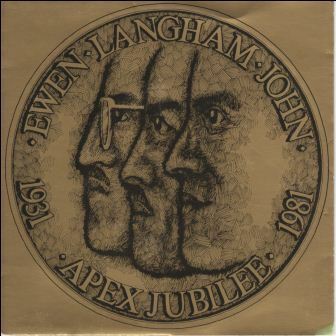 Of particular note is the line in "Langham, Ewan and John" referring to Apex’s 20,000 members. What has happened to our membership in the last 30 years? Want to know more about Bill and Boyd? Click here for more. You are here: The News Club News Have you heard the Apex songs released in 1981?